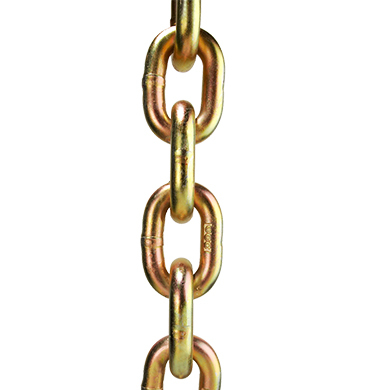 An assortment of finishes available: Self Colored, Zinc Plated, Galvanized, Powder Coated, etc. 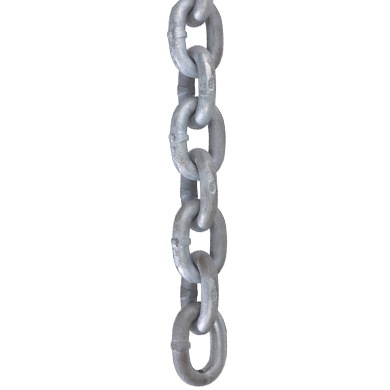 Hot galvanized for marine applications to lessen wear and increase corrosion resistance. 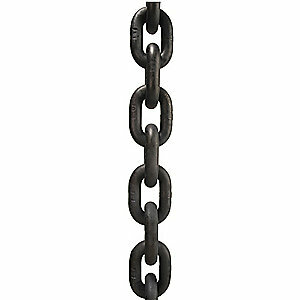 Grade 30 low carbon steel with proof coil links makes great utility chain for use on mooring setups and cargo lashing.